Interactive map of food products from the UK. Do you want to eat local? Discover what's made near you! 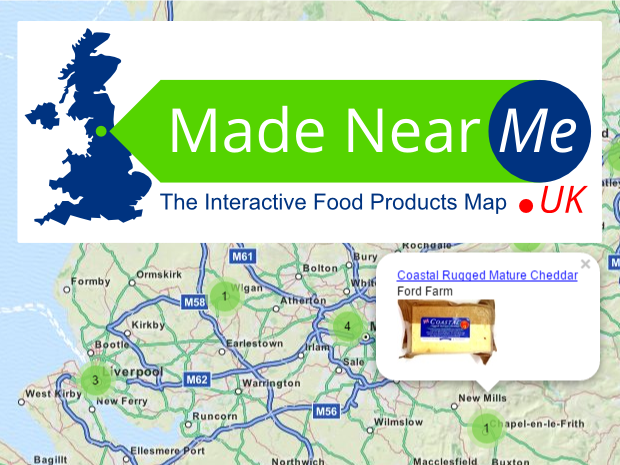 Made Near Me UK shows on a map where the food products you eat every day are made, transformed and/or packaged. This map can be useful if you care about local food and "eating local", or if you're curious to see what foods are produced in your area. Zoom on the place you live in and you might be surprised of what is produced there! The data for food products comes from the collaborative, free and open database Open Food Facts. The place of production or transformation is identified by a European food approval number (starting with UK and ending with EC, like "UK UW020 EC") issued by the Food Standards Agency or local authorities. This number is printed on the label of food products. Of note is that the food approval number is often for the company that packaged the product. In many cases, it is also the company that manufactured the product, but the different ingredients can come from other places and sometime countries. When the origin of products is known, we display it under the product photo. If you do not find local food products made near you, you can go hunt for them in your fridge, your cupboards or the store around the corner and add them on Open Food Facts - directly on the site or through our iPhone, Android and Windows Phone app. They will then be displayed automatically on the map. Thanks in advance! The geographic data used in this map comes from the collaborative project OpenStreetMap which creates a free and open map of the world. Both projects Open Food Facts and OpenStreetMap exist thanks to thousands of volunteers who collect and add data (crowdsourcing). Scan the barcode of a few products or add your street and join us! All the data from Open Food Facts and OpenStreetMap is available for free, for everyone and for all uses under the Open Database Licence (ODBL). 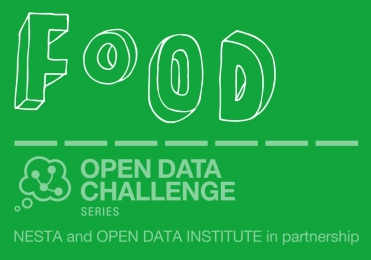 Made Near Me participates in the Food Open Data Challenge organized by NESTA and the Open Data Institute.